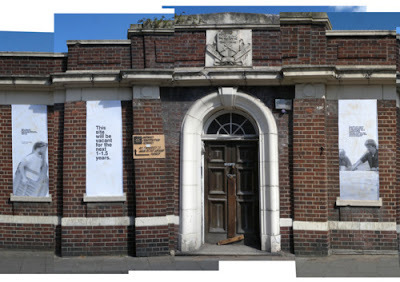 Transition Crouch End: Can we reopen Hornsey Baths to the Public? Can we reopen Hornsey Baths to the Public? A couple of months ago I made some posters suggesting that we might find a way to open up Hornsey Public Baths to everyone in Haringey as a community design centre, www.fairgroundcollective.net. By the railway bridge, could it help bridge the West and East of the borough, a space to visit to be surrounded by challenges, practical ideas and skills for local resilience? I will be back at the end of September and would like to see if anyone else in interested in adding ideas for this space, and coming up with a plan to take it to the council/developers more seriously. See below for the ideas so far! Any chance of getting in touch with Bethany Wells? My email is opinion8@rocketmail.com my name is Adrian. I think this is a good idea and would like to lend support. Have posted this on the Facebook group Crouch End Creatives. Picked it up off OpinoN8. Alas away on 24th but think we should put pressure on Haringey Council. Especially as it looks like the Sainsbury isn't happening. Have you been inside? Chris Arnold. chris@creativeo.plus.com. m: 07778 05 6686. This is a great idea. I am also happy to support. I would vote for some of the space to function as a communal co-working and learning space.